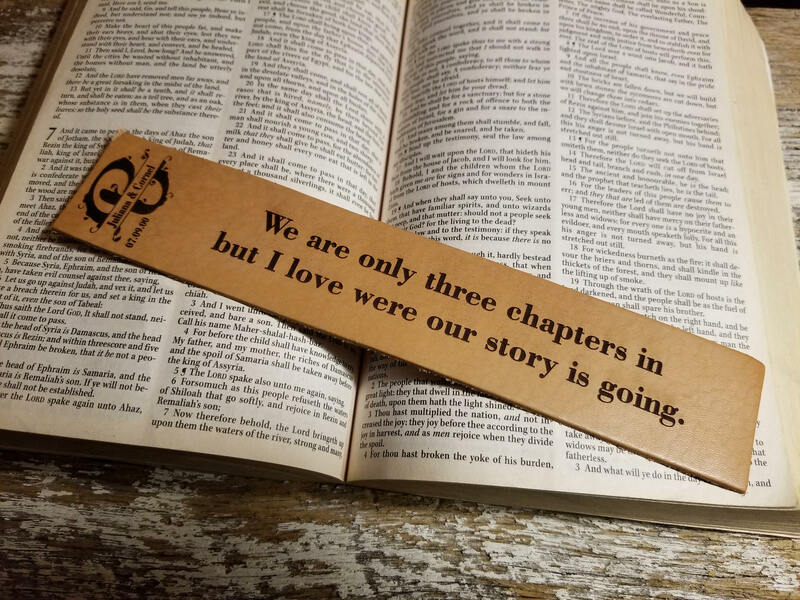 Oh this beautifully bookmark engraved with the first letter of your last name, your names, date and a quote will make the absolute perfect gift for your spouse that loves to read! Our leather bookmarks can be CUSTOM engraved with your own saying. The perfect gift for the husband or wife that LOVES to read. One coat of natural finish is added to protect the leather. QTY: 1 bookmark engraved with information you give us.